Keep your documents safe. Air tickets are such an awkward size and they can so easily get ripped or damaged. 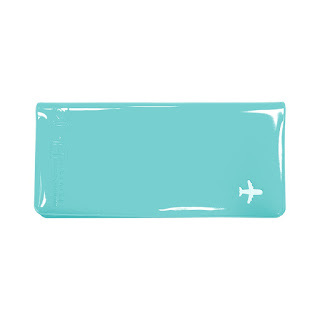 Travel like a pro with a neat, well-finished mosafer travel organizer in one of a range of cheerful colours. 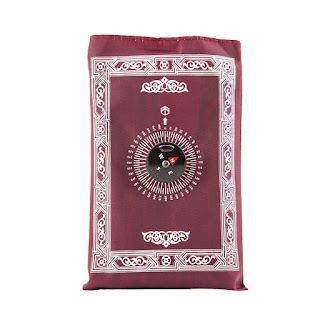 Portable and lightweight Travel Islamic Prayer Mat with the compass on pouch made for easy travel packing and are easy to tuck in your pocket or purse. 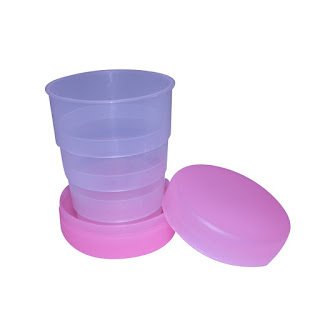 Whether your going on an adventure, camping, travel or barbecue or want to save space in your bag, this handy Silicon accordion shape portable collapsible travel folding cup has multi-purpose use. No-frills functionality and security are the things you look for in a 3-dial combination travel lock. Pick your combination, lock up your luggage so that its tamper-proof and you’re good to go. Have you ever arrived at your destination only to find that the liquids in your luggage have spilled all over the things you packed? Even if it’s just your clothes that got soaked in shampoo or shower gel, it’s bad enough, but what about your electronics? 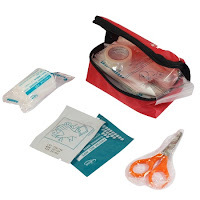 Get a peace of mind by packing your liquids in a mosafer spill proof bag. If your liquids leak out, they can’t damage your belongings. Travel with confidence and peace of mind. 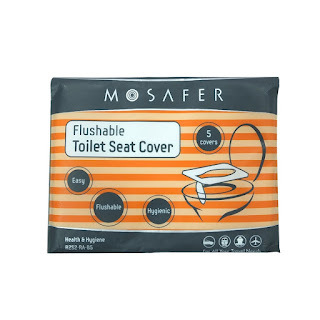 Make sure you are never caught off guard with these hygienic Toilet Seat Covers. Each pack contains 5 flushable toilet seat covers made of white environmental friendly paper in a resealable travel pack. 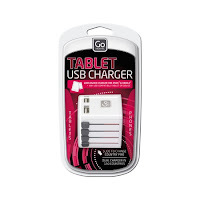 The toilet set cover pack easily fits into your bag, pocket, briefcase, backpack or glovebox. 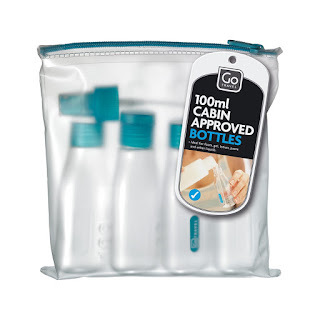 Decant your favourite toiletries in seconds with this cabin approved travel bottle set. Ideal for gel, lotion, paste and other liquids, these clear 100ml bottles and handy transparent carry pouch comply with airport regulations for total peace of mind. With a wide aperture for spill-free filling, the travel bottles come with 2 screw caps, 2 flip-top caps and a pump action spray atomizer. 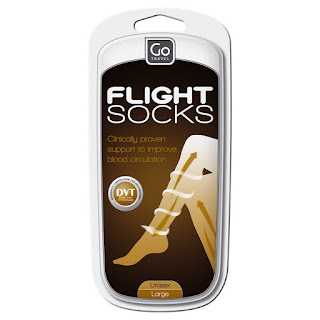 Clinically proven to improve blood circulation, these silky soft flight socks contain graduated compression to help prevent DVT (deep vein thrombosis). 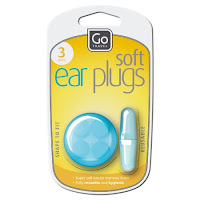 Medically approved, they are ideal for use on long-haul flights. Available in 3 sizes and 2 different colours, they are comfortable to wear and effective in easing the discomfort of tired legs, feet and swollen ankles. 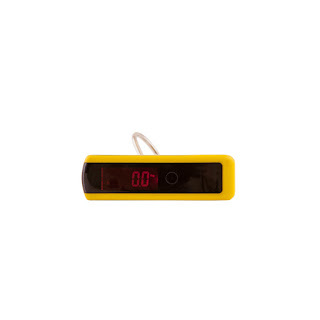 Digital scale precision at your fingertips, this electronic luggage scale lifts up to 40kgs / 88lbs with ease. Small yet perfectly formed, the tough lifting strap wraps around the luggage scale protecting the LCD screen when not in use. 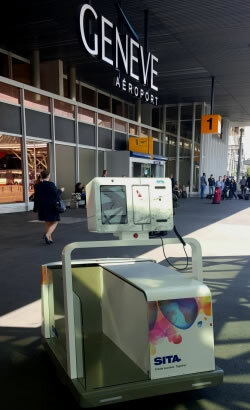 Simple to operate and compact enough to take on your travels, the recorded weight can be read even once your bag has been returned to the floor. 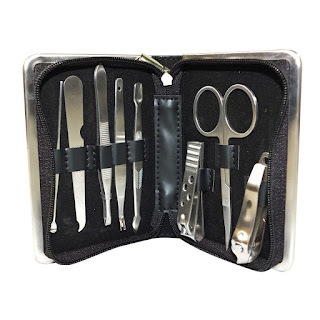 On-the-go Manicures travel set for the smart traveler. Keep all the tools you need no matter where you are going. 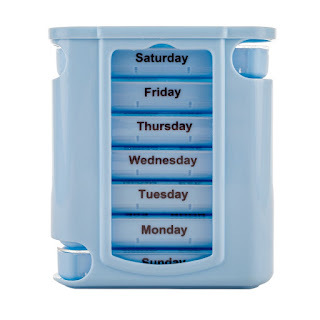 28 compartments Mosafer Detachable Pill Box with divisions and detachments for every day of the week. Travel friendly and easy-to-use. This 100% waterproof Design Go raincoat will keep you dry, whatever the weather. 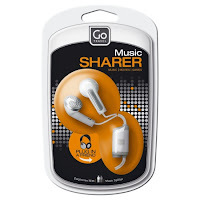 Full length yet lightweight, it is perfect for any outdoor activity. 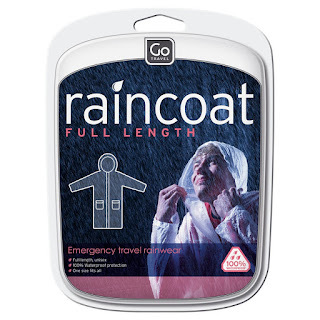 Featuring unisex styling, 2 deep front pockets and a drawstring hood, this PVC raincoat is designed to protect you from the elements. Looking for the perfect Christmas gift for your traveler loved ones? It is a perfect moment to top last year's gift for your family and friends. 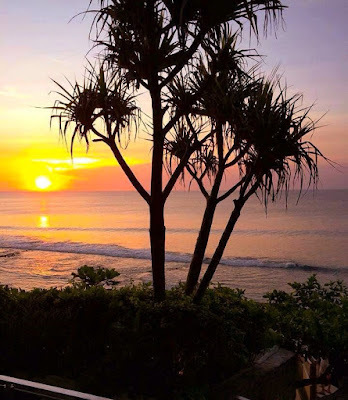 And every year it is getting tougher to find a unique and worth buying for our traveler loved ones who seems to have it all when it comes to innovation, connectivity, gadgets and travel accessories. But most of the time we genuinely don't know what to buy or we want to have a surprise for someone. 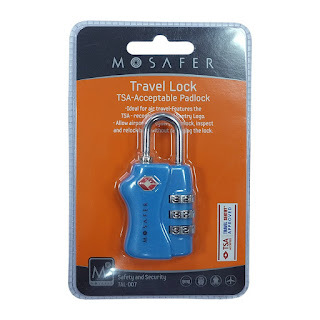 So here are some Christmas gift ideas, ideal for our folks who love to travel brought to you by Mosafer. However, if you are unaware of Mosafer luggage store, definitely check it out for designer travel luggage and bags, travel accessories, travel packing solutions as well as classic carry-on luggage. 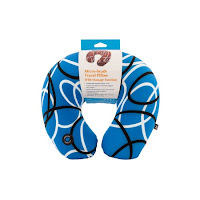 Mosafer Massage Feature Microbead Travel Pillow - Add this in-flight comfort Mosafer Micro-bead pillow to your travel accessories wish list. 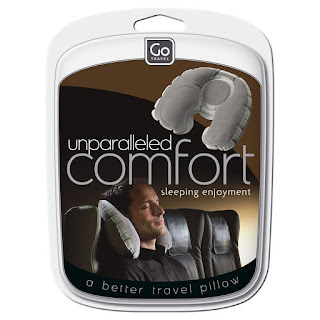 Frequent traveler, know exactly how stiff, tiring and neck sore they can feel at the end of a long journey. 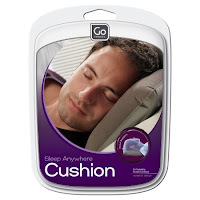 With this microbead travel pillow, it will give a traveler a total comfort that massages the muscles, helping the person to relax and arrive at their destination feeling as fresh as when they set out? You’ve found it! 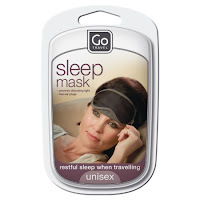 Match it up with a breathable eye mask for a good night’s rest. 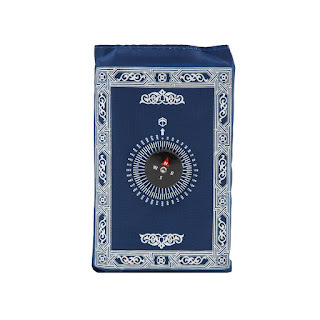 Mosafer Prayer Mat With Compass - The perfect travel Prayer Mat comes with an easy-pack pouch and compass attached, easy-to-use in any place at any time. 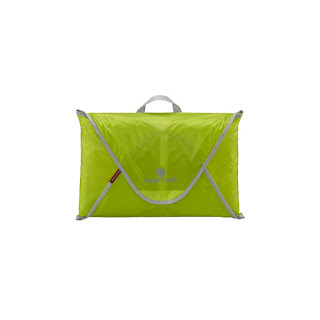 Eagle Creel Pack-It Specter™ Garment Folder Small -An ultra-light packing solution that weighs only seven ounces made of Silnylon to keep clothing organized while traveling. This translucent fabric is the same fabric used for lightweight tents and backpacks, it is super-durable, stain and water-resistant. 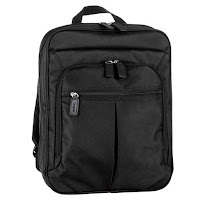 The Pack-It Specter™ Folder 18 holds up to 7 items and fits in most carry on bags. 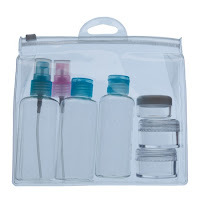 Eagle Creek Pack-It™ Slim Kit - When you just need to grab a few of the necessary toiletries and get going, the Pack-It™ Slim Kit is a compact approach to toiletry organization. 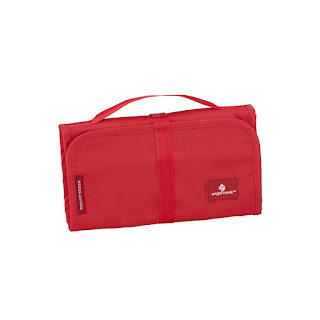 This small toiletry bag is just the right size for a quick trip or business trip. With stow-away swivel hook for hanging. Mosafer Vacuum Travel Bags - Easy-to-use Vacuum Travel Bags create 2 times more space in your luggage, whilst keeping you organized and dirt-free. 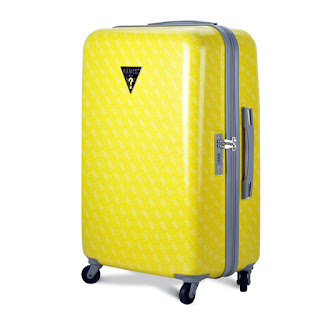 GUESS hardcase 4-Wheeler 20 Inch - Brighten your travel time with the bright color of this GUESS hardcase carry-on luggage. 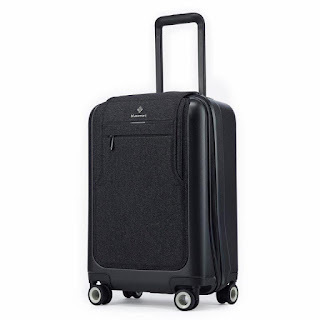 Guess hardcase check-in luggage for durability, with effortless glide and easy maneuverability. BlueSmart Black Edition - BlueSmart Black Edition is powered by BlueSmart core technology, but under a sleeker full black body and premium materials. Location Tracker - built-in GPS technology powered by a global SIM card that allows you to track your BlueSmart luggage anywhere in the world. 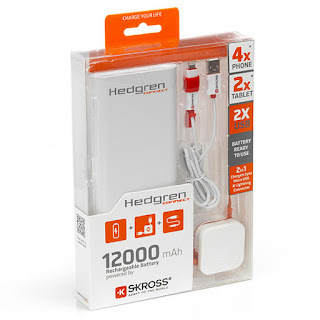 Built-in Smartphone Charger - charges your devices up to 6 times. 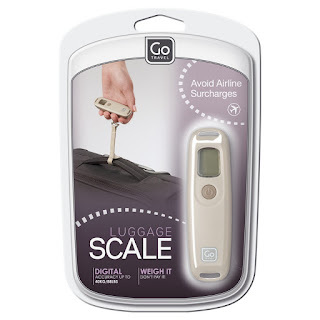 Digital Scale - Check the weight of your suitcase anytime and anywhere. Lock - Remotely lock your luggage from your phone. 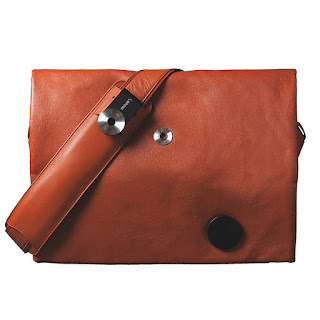 HiSmart Convertible Bag by Lepow (Brown) - A convertible bag with smart features. Strap it to your back or sling it on your shoulder. HiSmart can go anywhere in the new age of wearable information. 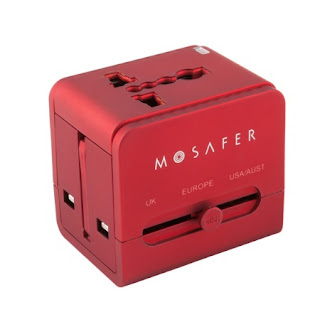 Mosafer Universal Adaptor - The ultimate compact and travel-friendly adaptor, with ergonamic shape and easy-to-use features catering to the on-the-go traveler. 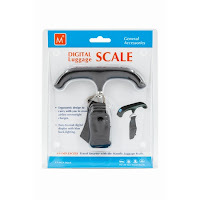 Mosafer Digital Travel Scale - Pack in a compact digital luggage scale with a super-strong 50kg (110lb) capacity and cruise through check in. 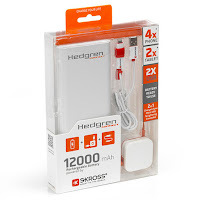 Want to get it all in one bag? A vacuum storage bag will help you to get the most out of your packing space! 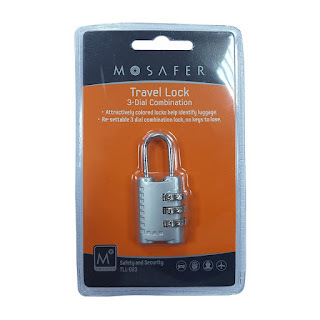 Mosafer TSA Travel Padlock - Let’s face it: a bit of Clingfilm wrap doesn’t really do much for your bag’s security or its looks. Make it as tamper-proof as can be with this lightweight but sturdy combination lock. 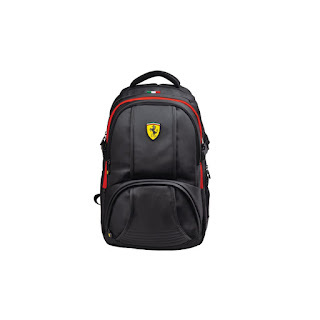 Ferrari Travel Backpack - The Ferrari Travel Backpack combines style with design. Providing generous space for all your daily needs. Luxury meets comfort for this backpack. ERGOBAG Black Bounce - Black is the new neon, classic, Ergonomic, and ecological. 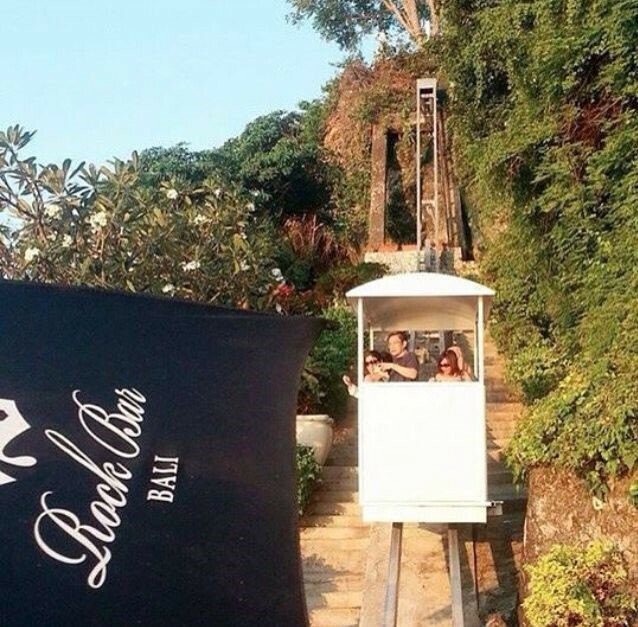 Black Bounce by satch ergobag meets this requirement. Timeless and without frills. 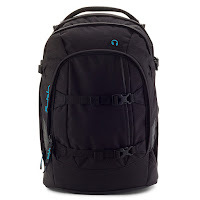 Bugatti Backpack Off-Road - Bugatti Off Road Business Backpack features both laptop & tablet protection with numerous exterior and interior pockets to keep your belongings organized while you hit the road! 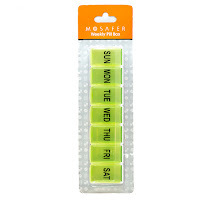 medication by loading up your days of the week pill box in advance of your trip. 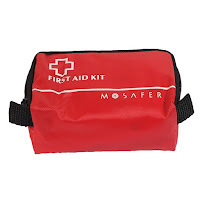 Mosafer First Aid Kit - First Aid Kit to keep with you at all times, ready for any emergency, for compact convenience. 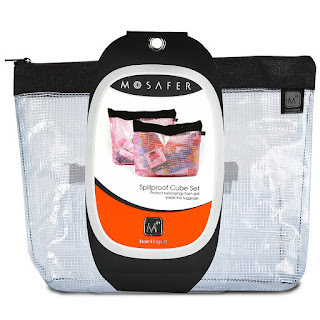 Mosafer Travel Accessory Pouch - Stay trendy and organized with the Accessory Pouch, perfect for Makeup, Toiletries and Accessories on-the-go. Still need some shopping ideas for Christmas presents? Check out Mosafer category for eco-friendly gifts like BG Berlin, travel packing solutions and practical bags and many more travel designer brands. 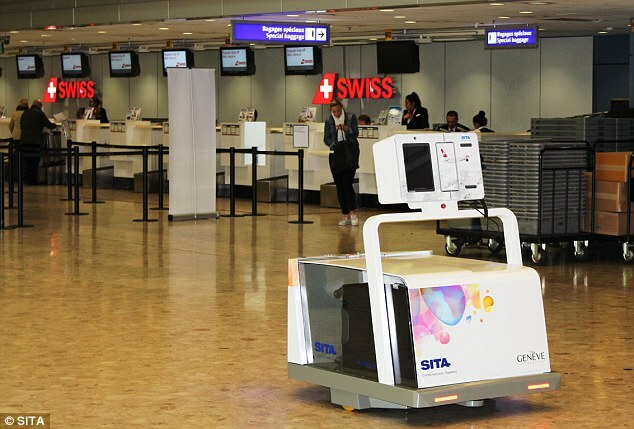 Passengers arriving at Geneva Airport earlier this year have received help with their bag drop from Leo, an innovative baggage robot developed by air transport IT provider SITA, which is being trialed outside the airport’s Terminal 1. Leo provides a glimpse into the future of baggage handling being explored by SITA Lab and is the first step to automating the baggage process from the moment passengers drop their bags too when they collect them. Using robotics and artificial intelligence, bags will be collected, checked in, transported and loaded onto the correct flight without ever having to enter the terminal building or be directly handled by anyone other than the passengers themselves. Leo – named after the Italian Renaissance inventor and engineer Leonardo da Vinci who built what is now recognized as the world’s first robot – comes to the assistance of passengers as they approach the terminal building. Touching Leo’s Scan&Fly bag drop interface opens the baggage compartment doors to allow passengers to place their bags inside. 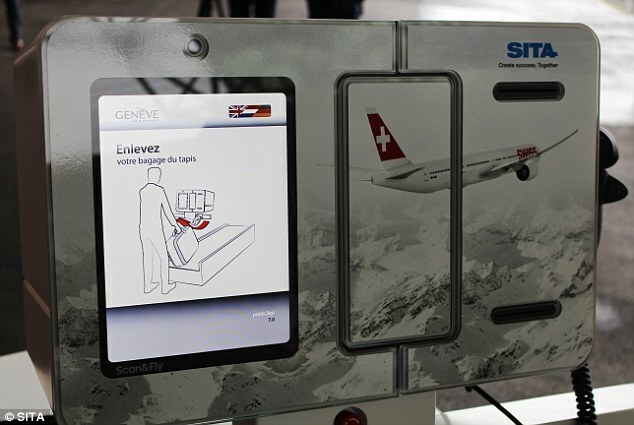 After the passengers have scanned their boarding passes, the tags are printed and can be attached to the bag. With the bags loaded and tagged, the compartment door closes and Leo display the boarding gate and departure time. Leo, which was built for SITA by BlueBotics, is part of SITA’s showcase of technology at the 2016 Air Transport IT Summit taking place from 24-26 May in Barcelona. Lately, SITA Baggage Robot is on tour, Leo was in Singapore and Hong Kong last month and is now in Morocco for the COP22 conference. 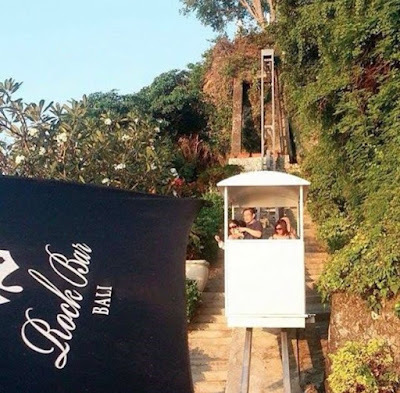 Rockbar is one of the best Bar International in the world located on Ayana Resort and Spa in Jimbaran, Bali. 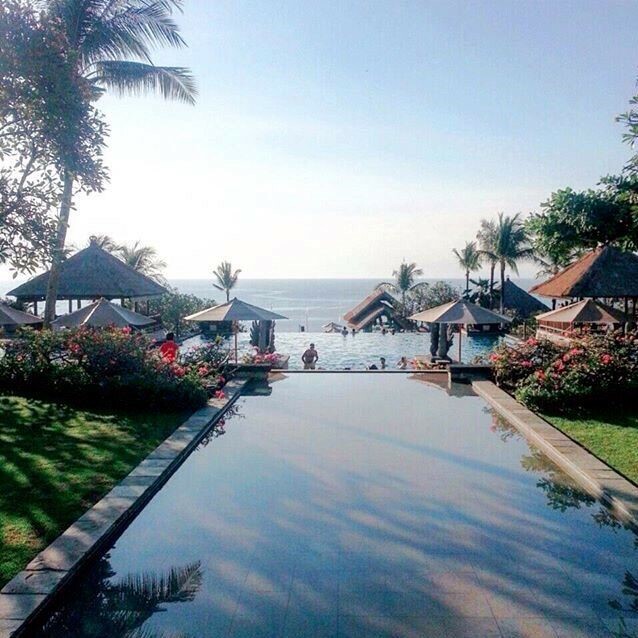 Within 77 hectares provides by 78 Luxury Private Villas and 290 Guest Rooms Ayana Resort and Spa becomes one of the best venue and resort should be the consideration. A special thing from here is when you can spend your best moment of Rockbar venue inside of Ayana Resort and Spa area whereas enable to enjoy wide to see between you and the horizon by 360 degrees of magical sunset. The concept of innovative and minimalist fusion togetherness shimmering of water sea colour and the sunlight. The rock formation also stands bravely as a touch of natural enchantment. 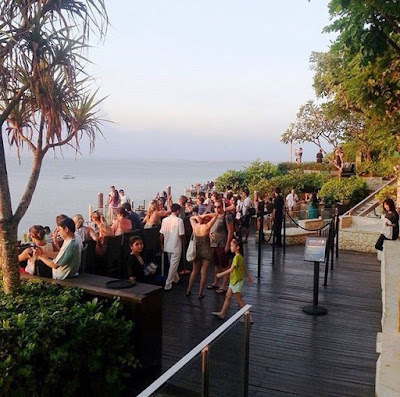 An opening placement is 4pm - 1am, not only for best venue performance but also food and beverage has already service here. Recommended for variety great cocktails in average price and cassava as a welcome snack makes your journey completed into joyful. Traveler tips: to reach the Rockbar is by inclinator getting down to the ground more or less 10 minutes. 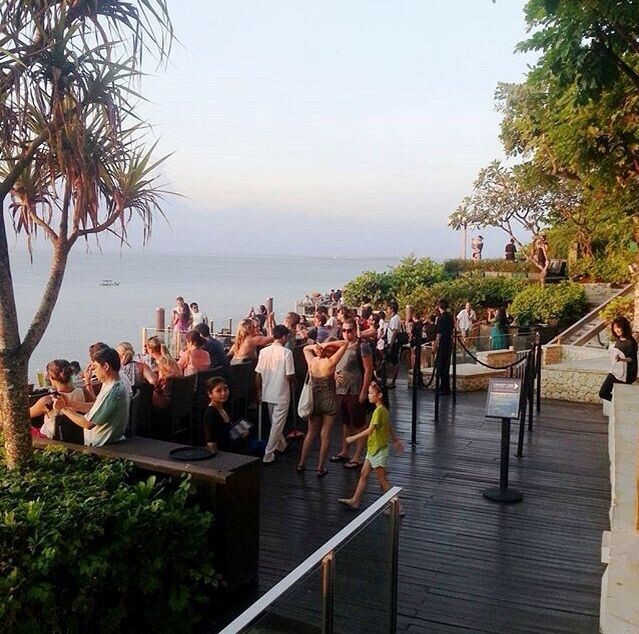 It should be needed to come before 4pm to avoid queue lining if you are not a guest of resort and spa. photographer, a writer, a digital marketing, and social media specialist. 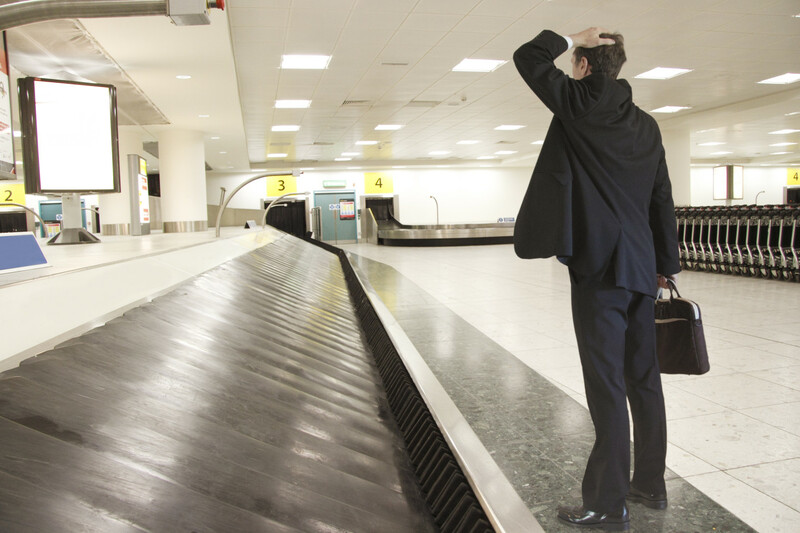 Have you ever wondered how many delayed, damaged, stolen or lost luggage and bags on a daily basis in air travel? Unfortunately, according to report out of 10 bags 3 are lost or mishandled. If it happens to you in the future, here's the basic actions you can do to reunite with your lost luggage without delay. You arrived at your destination and you're in a luggage carousel waiting for your bag to show up but it's nowhere in sight or you're wondering where your luggage ended up too. If your baggage didn't show up on the carousel, go directly to the airport baggage claim office and file a written report of your lost luggage and reference your bag tag so that the airline can act immediately of locating your lost baggage. Know your rights and do not leave the airport even you're so tired because of a long flight but stay calm, cool your head and do not yell at the airline employees. Bear in mind that they are not the one who lost your luggage and they will do their best to help you most especially if they see that you are a good guy, they will work harder to track and reunite you with your luggage (Its human nature to help.) Hunt down your bag patiently because if you leave the airport, there might be a possibility that you may just get a run around if you return the next day to file the claim. Or after filing a report and the airline employees say, you can leave and they will just contact you, make sure to leave your hotel or home address, email address as well as the mobile number or phone number where they can reach you the soonest. Do not throw away your bag tag because you will be needing it to follow up for your lost luggage. Also, try to post it on social media like Facebook or twitter. Social media nowadays is one of a powerful tool to reconnect with someone, most especially if it's your luggage. Most airlines provide reimbursement for the basic necessities purchased you’ve made while waiting for your lost luggage and send to them the receipt. You may want to check with the airline on how to ask for the refund. Make sure you know what is inside your bag so that you can make a claim for reimbursement if worse comes to worse and your luggage will never show up. I will take the advice of my aunt: Whenever I travel, I always pack a carry-on luggage for emergency purposes so that when things happened like this I have a backup. Also, if you can, there are many innovative travel luggage nowadays you can use to easily track the whereabouts of your luggage in case they go missing on your next travel like BlueSmart carry-on luggage, Rimowa, Shelfpack check-in luggage and many more. Travel is an art and it goes the same philosophy when packing your luggage. And because travel packing is an art, it is important to follow some guidelines to pack your suitcase because a frequent globetrotter they have an acquired skills on how to pack expertly as little time as they can while sorting everything they need for their business trips, cruise or adventures. If you are bringing a toiletries kits for your trips, make sure to double the bag to prevent it from the spill that is: if you are bringing body wash, facial wash, shampoo, and conditioner. If you are carrying a toothpaste, make sure to bring the travel size or you can opt for a sachet to preserve space. 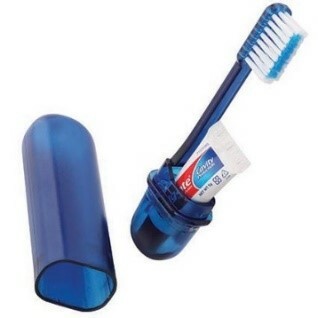 The same logic goes with toothbrush, razor, floss, deodorant, body lotions - always bring the travel size or at least 100ml if you are worried about the space and weight. 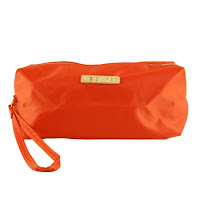 Go with the smaller travel toiletries bag so that you will not be tempted to bring things you don't really need. Take only what you need to conserve space and weight. Always, remember to use a see-through bag and TSA compliant that include the gel, facial cream, sunscreen, makeup, personal beauty & hygiene, medical kit and other liquids, etc. 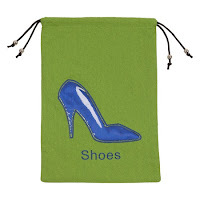 For the shoes make sure your luggage is balance before putting your shoes to save space, place your shoes in a travel shoe bag before putting it foot-to-toe in the bottom of your suitcase. 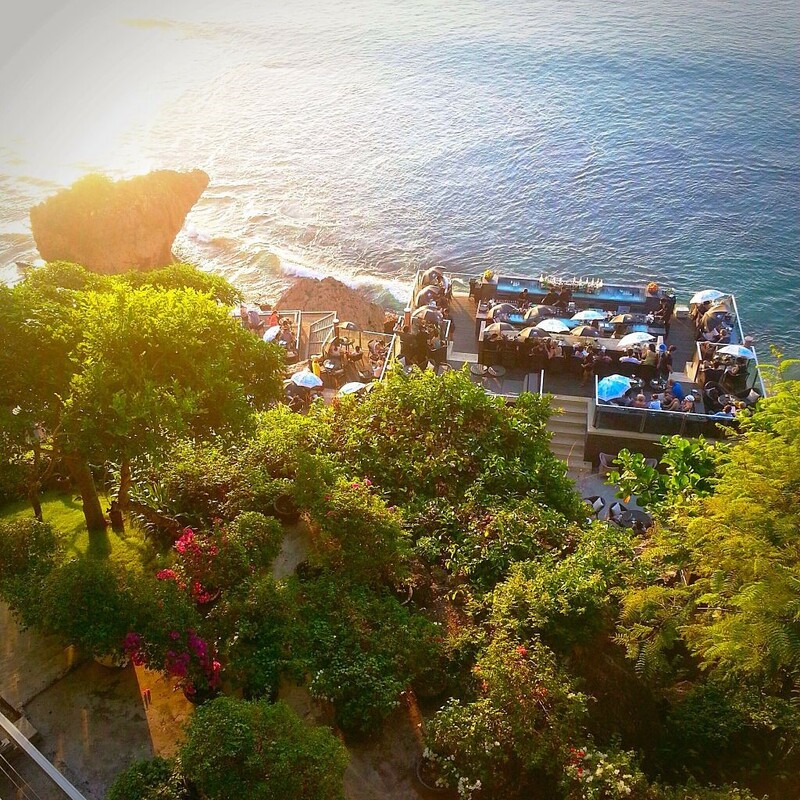 Bring the comfortable and stylish shoes if you are a fashion-conscious traveler. However, do not bring 5 pairs of shoes if you are a lady because it will add more weight to your luggage. Just bring a pair of shoes you can use that is suitable for a party or business meeting just in case, a pair of trekking or running shoes and a doll shoes. Furthermore, if you are taking along with you a sock, rolled-up your socks inside your shoes to give rooms for your other stuff. 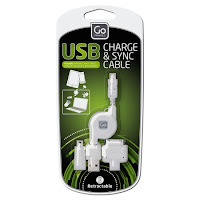 If you are traveling abroad do not forget to bring a universal multi-plug adapter and charger, a card reader, headphones, camera, and cables and put them on a travel accessories bag. Organize your in-flight pillow, blanket, eye mask and ear plugs and pack it in your organizer bag so that you will not always re-arrange your suitcase everytime you reach your new destination. If you are going places-to-places, pack smart to avoid over packing. Bring a wrinkle-free and light weight clothes that you can wear both for wandering, adventures and in a city as well. Bring a couple pieces of versatile clothing to mix and match your outfits. To save space you can either roll your clothing up or you can pack like a capsule wardrobe. 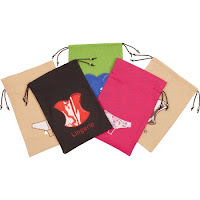 For your lingerie’s, put them in a lingerie bag. 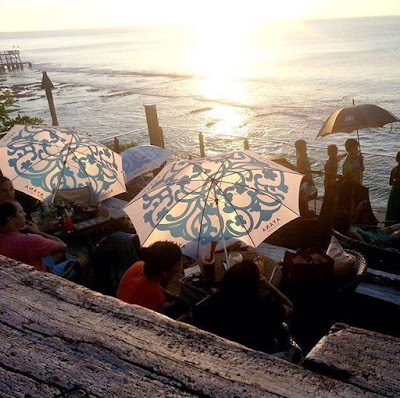 Lastly, do not forget to bring an empty tote bag for your dirty clothes and perhaps for some souvenirs.